2 Bedroom Terraced Cottage For Sale in Parnell Court for Guide Price £435,000. This charming cottage has been lovingly restored from a former net loft. Features include bespoke kitchen with integrated appliances and oak work surfaces. Kardean flooring, window seats, two double bedrooms, both en suite. Oak doors. Under floor heating. 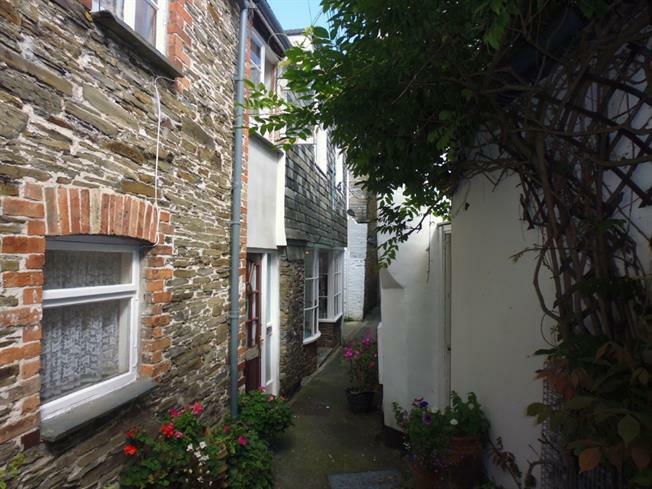 Just yards from the harbour this cottage may work well as a holiday let or second home. Early viewing advised. Plus deep windows each with storage and window seats. Under floor heating/ TV point. Fitted banquette. Bespoke kitchen with integrated fridge/freezer, washer dryer, oven, microwave and ceramic hob. Oak work tops partially dividing room. Spiral staircase. Window to the front. TV point. Door to en suite. Deep recess. Contemporary fittings include concealed cistern WC, vanity basin, double size shower with glass screen and contemporary tiling. Heated towel rail. Extractor. (Including En suite) Window to the front. The contemporary suite comprises of a corner shower cubicle with curved glass door, low level WC and vanity basin. Extractor. Mirror and light. Heated towel rail.